It wasn’t exactly underground literature but certainly an underground launch to mark the publication of children’s picture book The Tunnel in our Backyard last Thursday. The launch hosted by Oratia Books with help from the Albert-Eden Local Board took a crowd of over 60 guests down into a volcanic cave on private property in Mt Eden, linking with the book in which the children protagonists discover both the new Waterview tunnel and the old volcanic tunnels that run under the Mount Albert district. 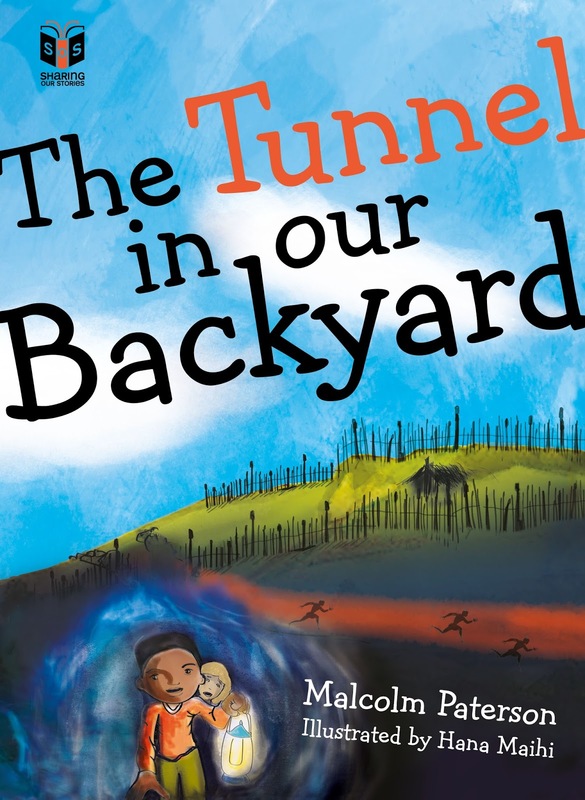 Written by Malcolm Paterson and illustrated by Hana Maihi (both of Ngāti Whātua), The Tunnel in our Backyard is the second in the Sharing our Stories series, which aims to connect young readers with the heritage and stories that surround them. Plenty of kids were in wide-eyed attendance at the launch too. Formalities kicked off with a karakia and blessing by Wyllis Maihi, Hana’s father. Malcolm and Hana spoke about the journey taken over the past few years to prepare the publication, which included consultation with historians of Te Atatu, Waterview, Mount Albert and Point Chevalier. Supporters Peter Haynes, Chair of the Albert-Eden Board, and John Burden, Project Manager of the Well-Connected Alliance, also spoke and praised the work done by the authors and publishers in bringing local stories alive for a new generation. The Tunnel in our Backyard is available from good booksellers . Oratia Books, for her report.